Merrigan is a mysterious vision you catch only a glimpse of from the corner of your eye, but is no longer there if you look twice. She is the light caress on your shoulder you end up convincing yourself was just the wind. She is both the strange, benevolent being that leads you out of the woods at night, and the reason you were lost in the first place. With a voice as sweet as honey and soft, dreamy acoustics, performed almost entirely by herself, she sings the magical world of our childhoods into existence in her first ever EP The Changeling. Have you, perchance, wanted to hear the ballad sung by Denna in The Name of the Wind by Patrick Rothfuss? Merrigan does it absolute justice with Song of Seven Sorrows. Or can you recognise in anyone you know the sylvan soul of a fairy child, of which she sings in The Changeling? Even a seemingly innocent song about autumn carries within itself the sadness and the hope we see in Shelley's Ode to the West Wind - for, what is autumn, but a beautiful death, followed by a rebirth? I was glad to see that she'd also included an old love of mine - The Troll and the Flower - which lovers of Hans Christian Andersen's fairy tales will surely appreciate. Finally, the album ends with my ultimate favourite Viking ballad Sagan om Tveskägg (Tveskaegg's Story), which tells of the battle between a mighty warrior and a fearsome she-dragon... though, if you search carefully through Merrigan's YouTube channel, you will find a slightly different truth to that which the Swedish lyrics suggest. 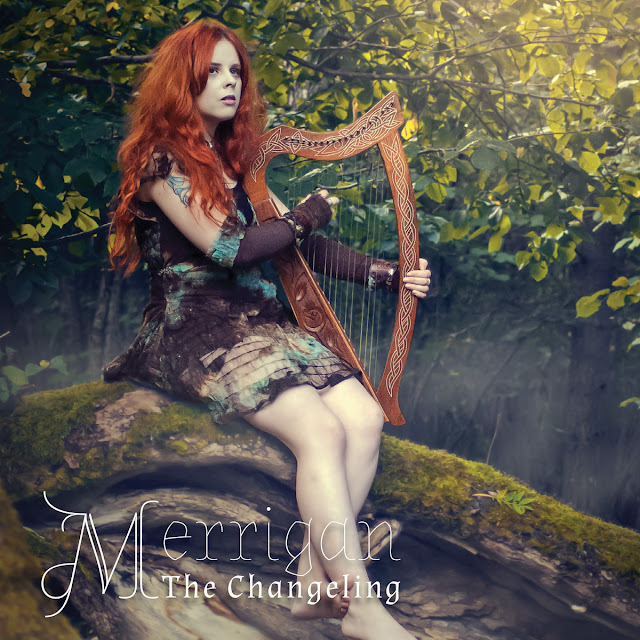 Too long did I wait to make this purchase after falling in love with her full-length album Gravedigger's Faire, and I am happy to see (rather, hear) how much Merrigan's music has improved in The Changeling. The lyrics are the same fantastic tales she has always woven from her own heart, but the sound is richer and purer. Overall, this album makes me extremely happy and its ethereal nature is enough to put anyone's mind at ease. I will gladly continue to follow this wonderful child of the forest's progresses as a musician. Recommended if you like: Adrian von Ziegler, Erutan, Loreena McKennitt. She is lovely, isn't she! And a wonderful soul to speak to as well. I'm glad you found this post useful and pleasing. I am simply a person who likes to make others smile.